Where else but California would you expect to hear about something so tragic as the death of an innocent person due to sanctuary cities violating federal law by not turning over illegal immigrant criminals to ICE? Again, an innocent person has been killed by an illegal immigrant criminal due to a sanctuary city’s refusal to obey the law. According to The Daily Caller, Santa Rosa, a sanctuary city in California reportedly didn’t cooperate with Immigration and Customs Enforcement (ICE) officials, giving the federal agency no time to pick up an illegal alien they released from custody, who then allegedly murdered his girlfriend two weeks later. 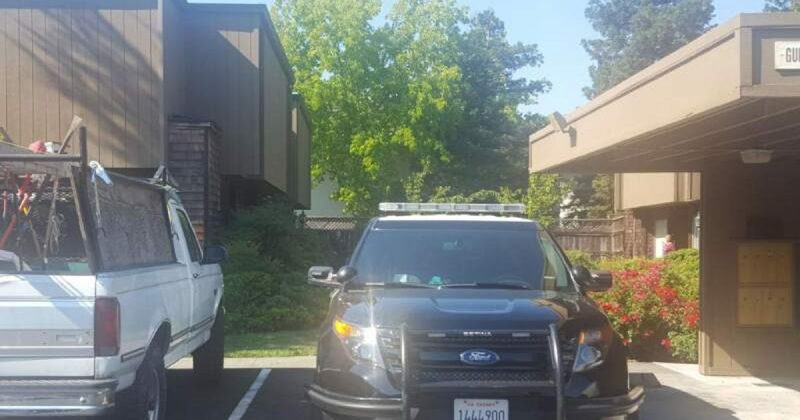 Santa Rosa police arrested 38-year-old Nery Israel Estrada-Margos on August 18 after he turned himself in for allegedly beating his girlfriend — 42-year-old Veronica Cabrera Ramirez — to death, the Santa Rosa Press Democrat reported. Estrada-Margos was in police custody before the murder on August 2 for felony domestic battery charges after he allegedly beat Ramirez following a heated argument. Police released Estrada-Margos from custody on August 3 – despite a detainer request lodged against him by ICE officials – after he posted the required $30,000 bail. Sonoma County Sheriff Rob Giordano deflected blame from his county, an official sanctuary city, by giving misleading statements to local media outlets who then blamed ICE. “We did notify ICE of his release date and time. Sometimes they pick up, sometimes they don’t,” Giordano said. What Giordano did not tell reporters was that Sonoma County gave ICE officials only 16 minutes to travel over 60 miles to pick up Estrada-Margos before releasing him from custody – a distance that according to Google Maps can take 90 minutes to travel. James Schwab, ICE’s spokesman in San Francisco, documented the incident in a statement given to The Daily Caller. California openly defied President Trump’s vowed crackdown on illegal immigration earlier this year when the state passed legislation that prohibits law enforcement agencies in California from cooperating with ICE.